Twelve years ago, the U.S. Postal Service was delivering mail like it was going out of style. And now it has. The Postmaster General today told a Senate committee that the U.S. 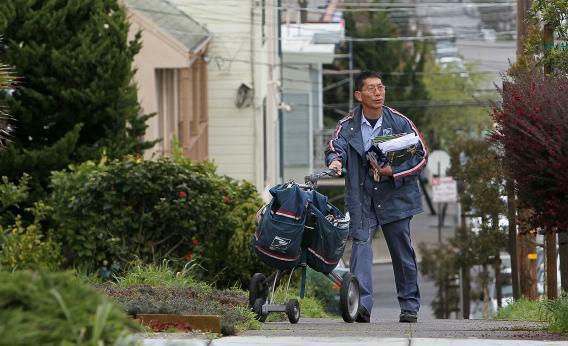 Postal Service needs an emergency postage hike if it is to keep operating. “The Postal Service as it exists today is financially unsustainable,” he said, according to CBS News. He’s right, of course. The post office is expected to lose $6 billion this year, after dropping a cool $16 billion last year. It’s trying to end Saturday mail delivery, and it has missed payments to its retiree health benefits fund. In short, the U.S. Postal Service is in dire shape, thanks in large part to a precipitous decline in mail volume brought on by the long-term trend toward e-mail and online bill payments. But what about e-mail? If people write fewer letters, won’t that hurt the bottom line even more? “E-mail is not a threat,” Brennan said. The president of PostalWorkersOnline.com agreed, noting that the content of a lot of e-mails, such as jokes and chain letters, would not have been sent by mail anyway. 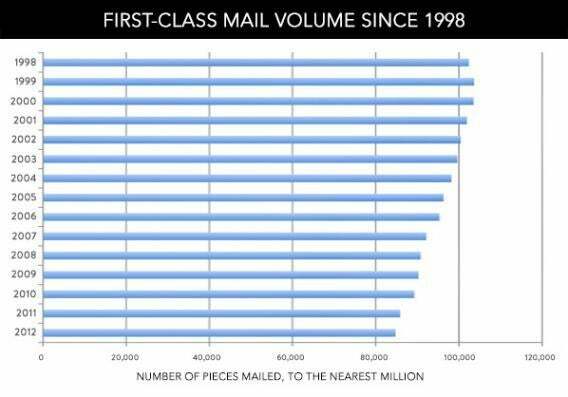 The year 2001, as it turned out, marked the all-time peak in first-class mail volume. It has dropped by more than 33 percent in the years since. E-mail is not the only culprit, of course. Online billing has taken its toll as well. But the spokeswoman’s quote stands as a testament to the power of denial in the face of imminent obsolescence. As my colleague Matt Yglesias has explained, the phrase “disruptive innovation” is grotesquely over-used these days. But the fall of U.S. mail service at the hands of e-mail and e-commerce reminds us why Clayton Christensen coined the term in the first place. Like Wile E. Coyote chasing the Road Runner, it can be hard for organizations to see the cliff until they’ve already hurtled past it.